Enter discount code 'NCD10' at checkout. 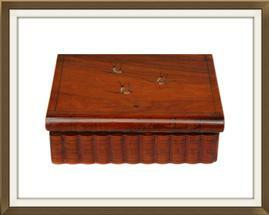 This is a wonderful Italian Olive wood jewellery box, made in the 1920s. 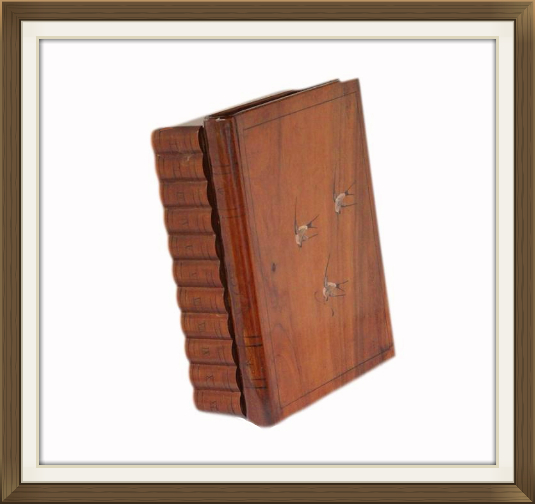 It is in the form of a beautiful old book and has a secret opening mechanism! We have provided some information on Olive wood further down in the description. 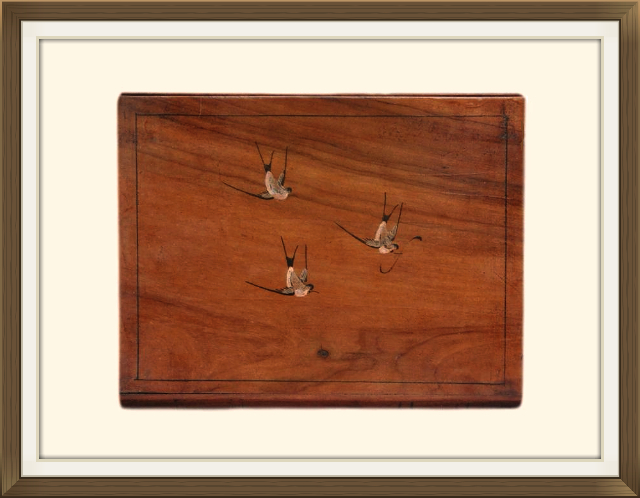 The lid has beautiful hand painted swallows which are nicely framed by a hand painted border. The swallows are in beautiful flight position. The swallows on this box were most likely added as a form of symbolism. The swallow represents the safe journey home of a loved one. The front of the box has a sliding panel, designed as a row of book spines. This is the secret opening of the box. You simply slide the panel out to left to open the box. Each of the book spines are beautifully detailed with hand painted roman numerals. This has created the appearance of a set of 11 numerically ordered books. 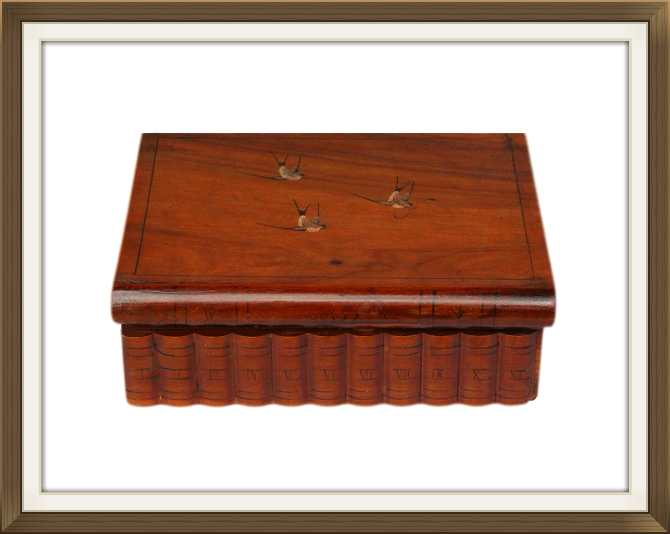 This box would make an especially beautiful gift for book lovers and writers! The Olive wood has been polished and varnished, and has a lovely tactile smoothness. The Olive wood to the interior and base has been left in its natural state. The interior has 3 storage compartments with Olive wood partitions. These partitions can be removed if desired to create two larger compartments of equal size, or a single large compartment. 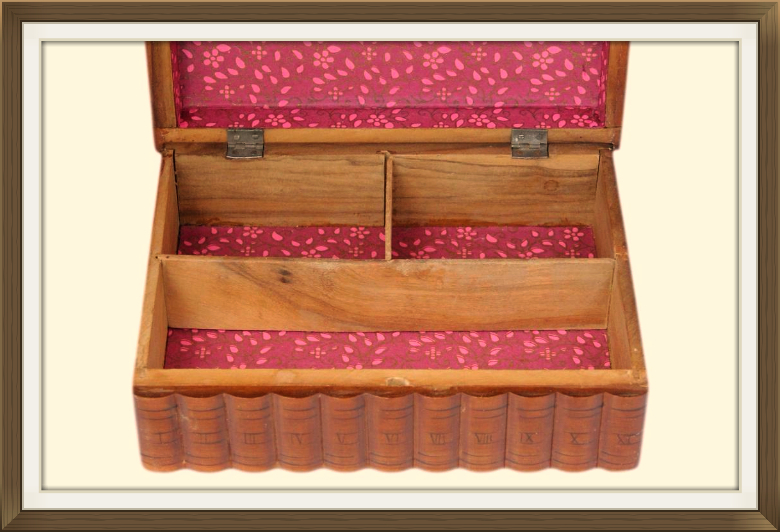 The compartments and the inside lid are newly lined with beautiful hand made floral paper. This has pretty shades of pink and purple, and lovely contrasting gold highlights. Olive wood has a distinctive grain and rich colour which gives it a beautiful appearance. It has characteristic brown and yellow streaks which make for a beautiful contrast. 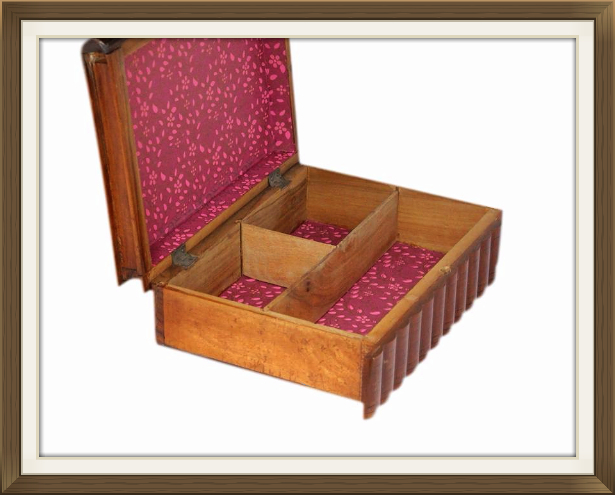 These features make it a sought after wood for decorative items such as jewellery boxes. Olive wood is also favoured for its hardness. It is a strong durable wood with a fairly high density, and takes well to cutting and polishing. The olive tree primarily grows in the coastal regions of the Mediterranean. 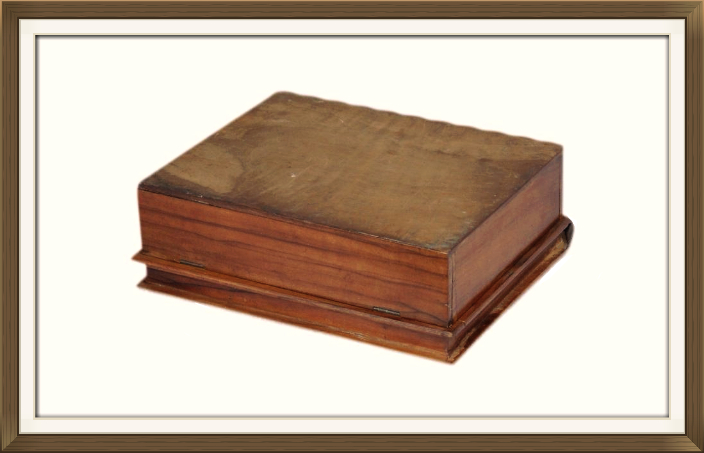 Its wood has been used for many years by Italian box makers in particular. It is also a favoured wood in areas of the Holy Lands such as Jerusalem. This box is in excellent condition for its 90 plus years of age. It is structurally sound and locks securely. It has only very minor light surface wear! 16.5 by 5.5cm with a 3.5cm depth. Inside rear compartments x 2. 8.0cm by 5.5cm with a 3.5cm depth. 16.5 by 11.5 with a 3.5cm depth. The box will be posted FREE within the UK by Next Day Special Delivery. International postage is £25, delivered within 5-7 working days by Royal Mail International Tracked.